SA Fashion Week turns 21 this year, and what an honour to not only be part of this celebration which promotes local fashion not only in South Africa – but abroad as well, and assists with the promotion of new SA talent in the industry as well. Herewith my thoughts over the period of the week – article will be updated daily as and when I attend. What better way to kick off the first evening than with a nostalgic look at fashion over the years, and celebrates some upcoming talent – which we certainly do have in abundance in this country, that’s for sure! 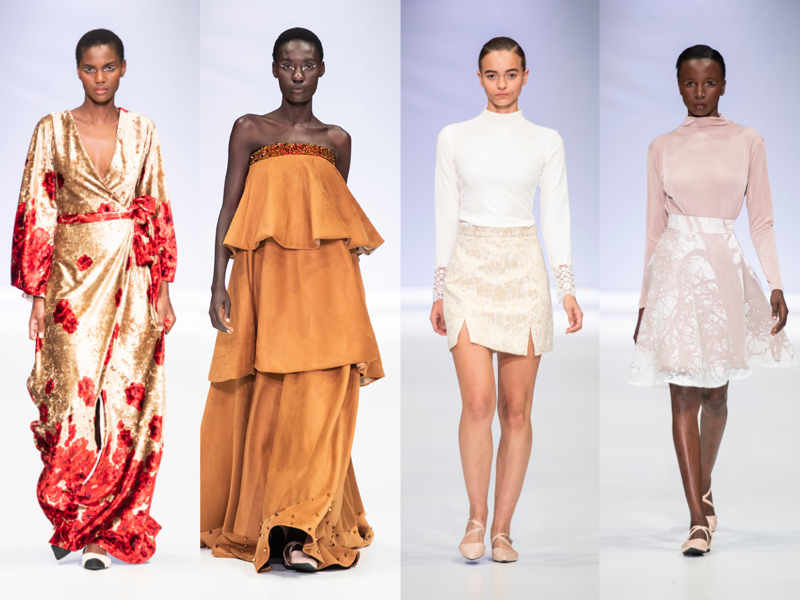 The SAFW New Talent Search 2018 designers showcased some incredibly fashion-forward looks, and I love this initiative to help promote and assist young designers get a head start in the industry. Running for 20 (of the 21 years) the showcase brought some seriously hot new designs to the table and showed an incredible use of fabrics and contrasts, which I really enjoyed. Stand out for me were the Afrogrunge and Fikile Sokhulu collections, as well as Cindy Mfabe, who was the eventual winner out of the 8 finalists. Cindy’s stellar ladies wear collection showed an artistic approach in a range in pastel pinks and blues and a few pops of yellow, adding ruffles and elegant sleeves to the mix in a stunning contemporary ready to wear collection that embraces both female and male elements in to her ladieswear range. A LISOF graduate, Cindy has showcased at Lagos Fashion Week and has been featured in a number of publications, including Destiny Magazine and Sunday Times. Well done Cindy! 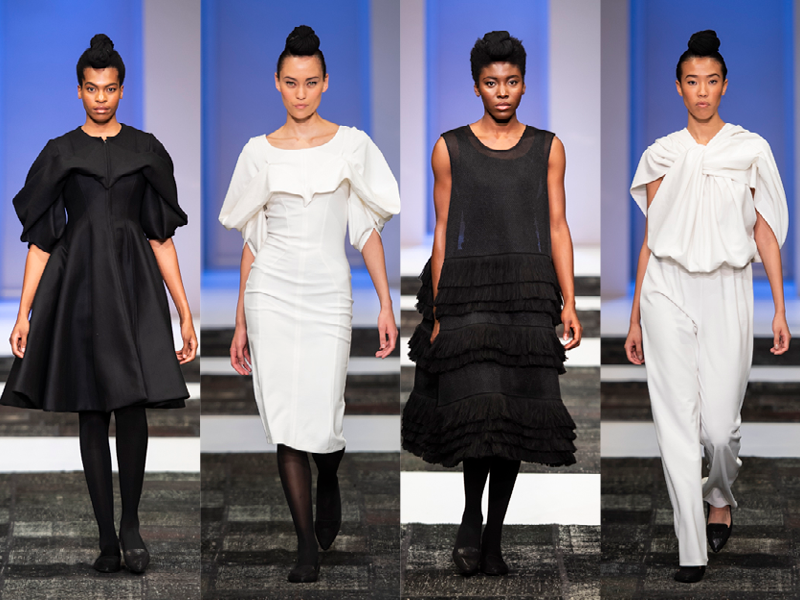 Next up The Woolworths STYLEBYSA collections followed, cementing the fact that South African design is only getting better. 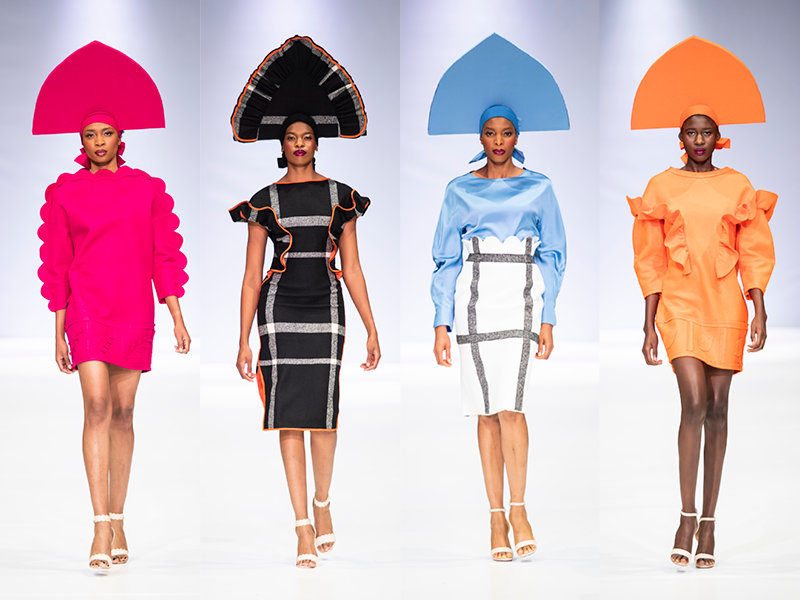 My fave from the SS18 collections showcased where from by Rich Mnisi (header image) whose bold use of colour made a major statement and Thebe Magugu. The Watermelon Social Club (pictured here) who took athleisure where to whole new heights with padded details and cool colour combos . All collections are available online and in selected WW stores, nationwide. Day 2 started off with a bang of course with the BRICS show – which saw some fantastic design and super colourful colour combo’s (loving all the colour right now, I won’t lie) strutting down the runway. I highly enjoyed the BRICS collections from Irina Stetsko by Irina Stetsco all the way from Russia (which featured some amazing headpieces) pictured here, and also Heaven Gaia by Xiong Ying from China, who showcased their Asian roots in beautiful and feminine flowing creations. The second show of the evening featured standout South African designer Amanda Laird Cherry who focused on an ocean theme, which draws on how the ocean touches the land all over the world. There are different currents, warm and cold, it can be rough and it can be calm but at the end of the day – juts doing it’s job – and a good parallel to life I may add. The ocean feel came through in her use of greys and blues and she collaborated with independent ceramic artist Frank Nthunya, whose work visibly draws a parallel with the ocean theme. A beautiful collection, and certainly one that I would look at investing in a few pieces for my wardrobe. (Next picture). Judith Atelier used a monochromatic palette of black and white and added splashes of colour while Danielle Frylinck focused on bright pops of colour with edgy collars and flowing fabrics. To say that I am delighted with the fresh, feminine and flowing styles I am seeing this season would be an understatement – often fashion although beautiful is not quite for me (I have quite particular tastes and styles – but I have to state that I am so looking forward to winter next year, now that I have seen what is in store for us! Another stunning evening awaited at Day 3 of SA Fashion week – I was not feeling well however and had to leave before Gert-Johan Coetzee’s collection, but both Rubicon and the BRICS collection were on fire. Rubicon is owned by local designer, Hangwani Nengovhela, and her elegant AW19 collection followed the inspiration of the expression of women. We have been in a sad space as a country and women have not been able to express themselves – and women need to step in to their power. Black, red and green colours featured – with the black aimed at showing boldness and green especially aimed to show newness and evolving. She believes in celebrating women through allowing them to show who they are and what they are about (pictured right). 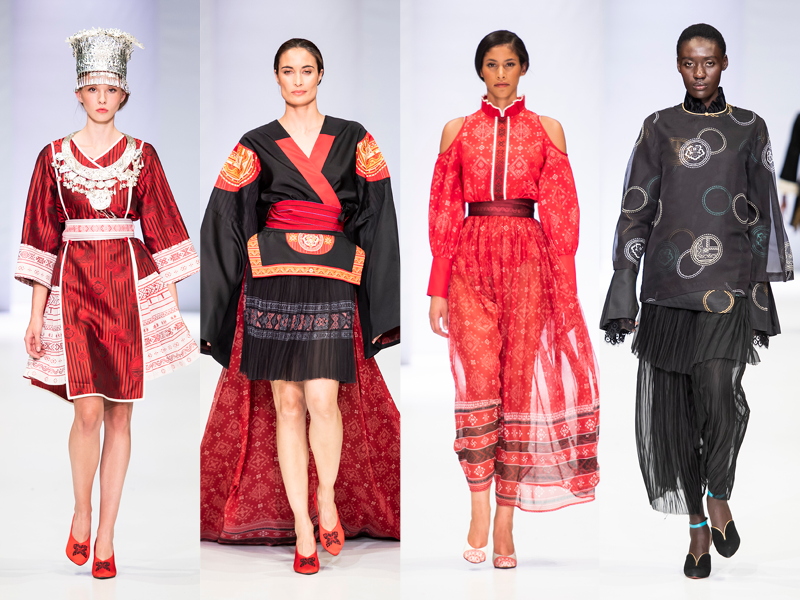 The BRICS show followed with its second set of international collections, led by SAFW veteran Clive Rundle. Reptilia by Heloisa Strobel Jorge from Brazil, Sergey Sysoev from Russia, Antar-Agni by Ujjawal Dubey from India and Zeng Fengfei from China ended the show. Standouts for me – Sergey Sysoev and Zeng Fengfei. Beautiful fabrics from Zeng and a standout silver headpiece that had the audience gasping when the curtain arose, feminine and soft, as well as embracing his strong Asian heritage. Loved. Sergey brought loose and flowing fabrics, with ties and ruffles to the run way – along with understated big floral prints and pops of colours like pink and yellow. Different, but fun. It was at this point that I went home – however two shows followed with Gert-Johan Coetzee showcasing the debut of his menswear collection. 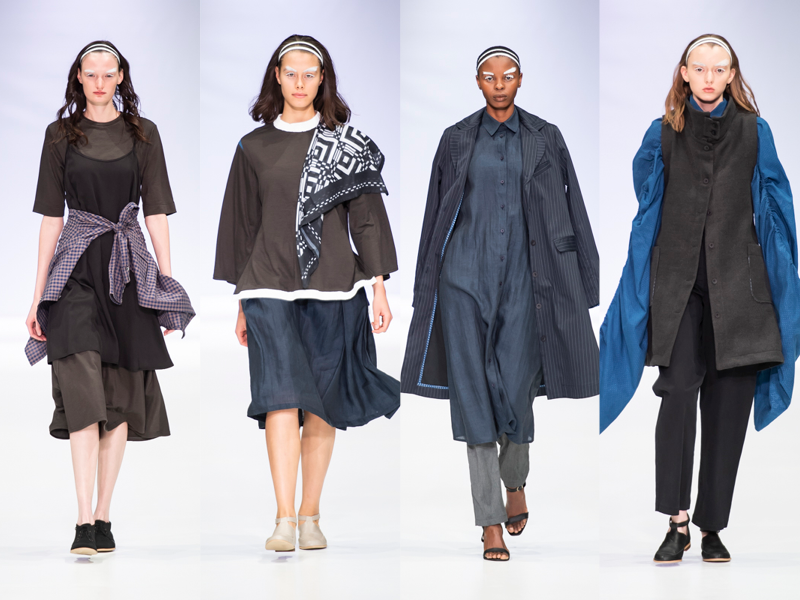 Next up – Sober, Sies!Isabelle and Ephymol presented sophisticated, bold and chic collections which embodied the Appletiser brand (collaboration) and ending the night in style – as one would expect from SA Fashion Week. The much anticipated menswear collections began showcasing last night and kicked off with quite a unique installation from luxury brand, Inga Atelier. The bags where creatively showcased on live models and I really enjoyed – I have never watched an installation before – very cool! The Cape Wools Designer Challenge kicked off with winning collections by women’s wear brand ERRE (who I totally adore and next picture). 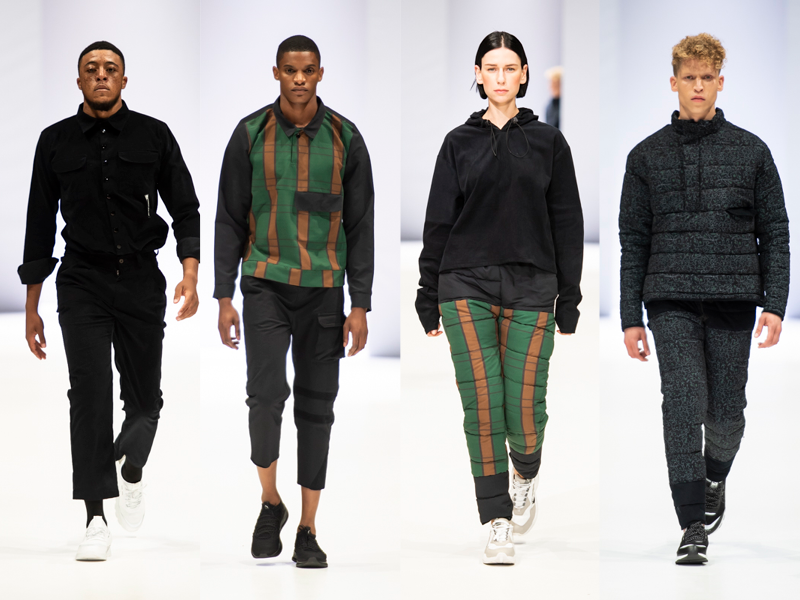 Carlo Gibson’s Klipa menswear label took to the runway, showcasing the luxury and versatility of wool. The entire collection took on a spaceman feel, and I loved how the models engaged – looking like lost explorers on a foreign plant. As I had to be on air at SAfm Radio, I had to sadly miss local designer Ryan Keys as he presented his ladies wear and menswear collections respectively. I am (for the first time since I moved to Johannesburg) looking forward to winter – although it may be cold – I am going to be rocking it in style – with fashions that I would actually and honestly wear. 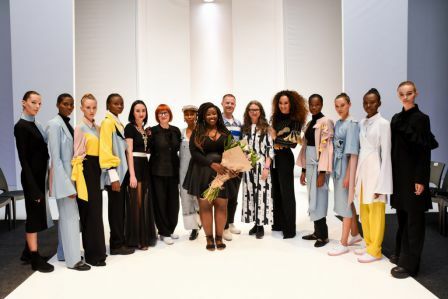 SA Fashion Week – thank you!